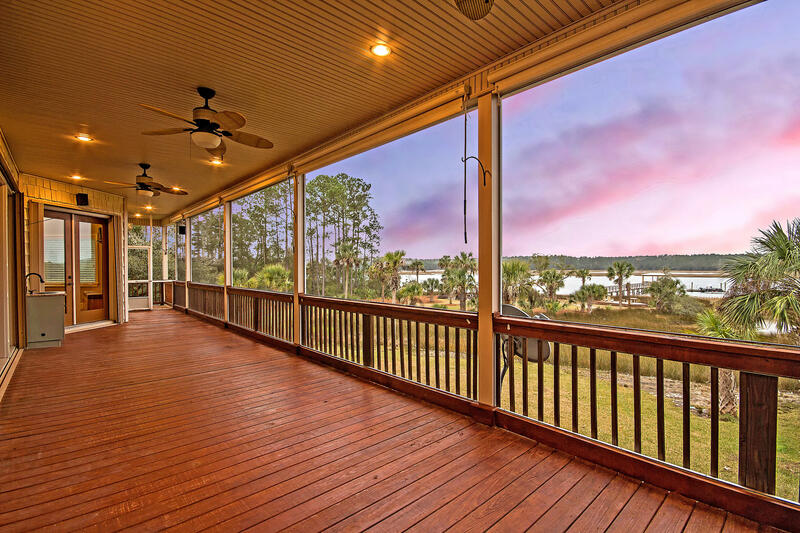 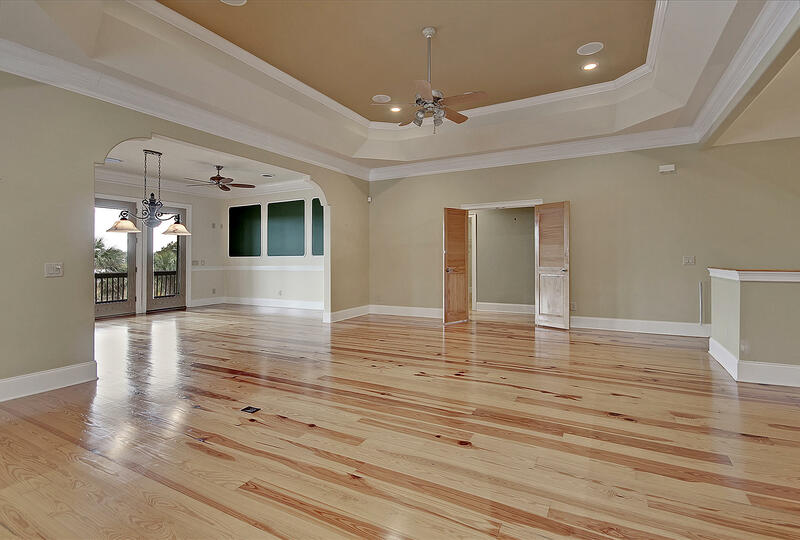 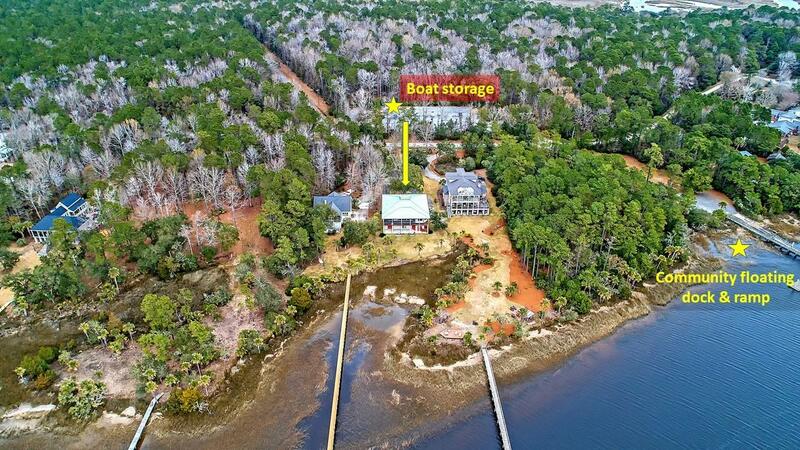 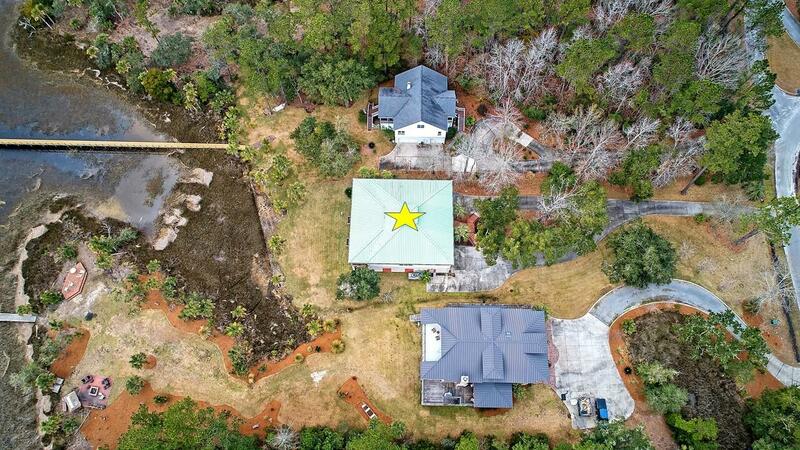 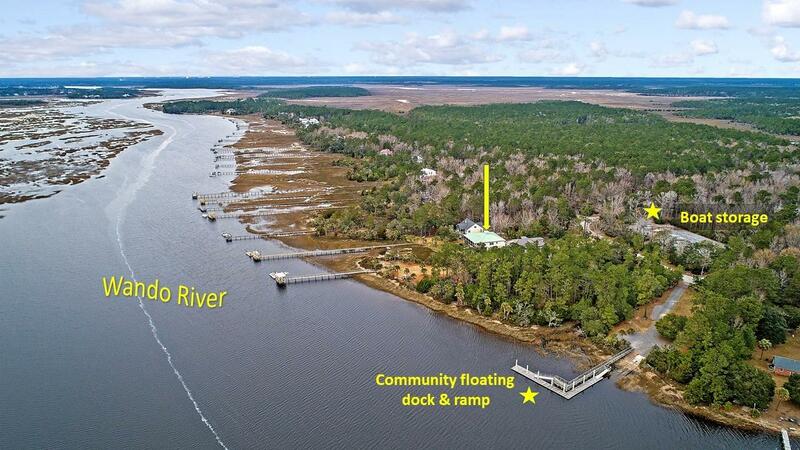 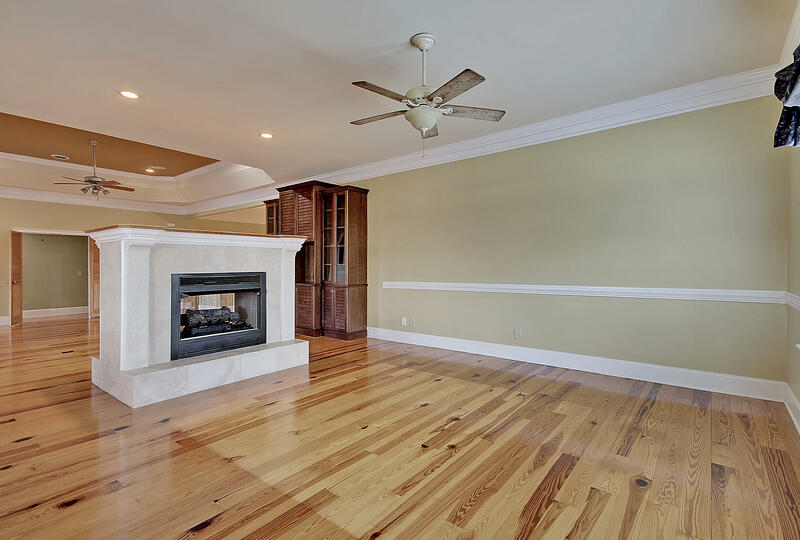 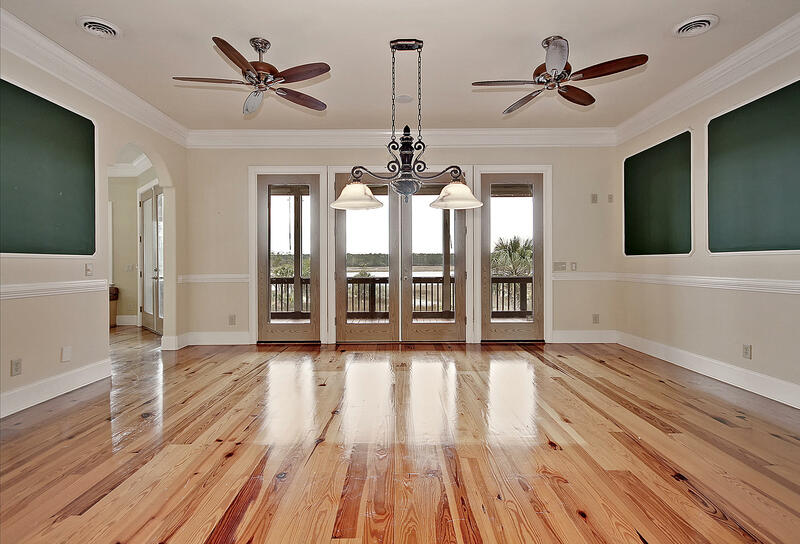 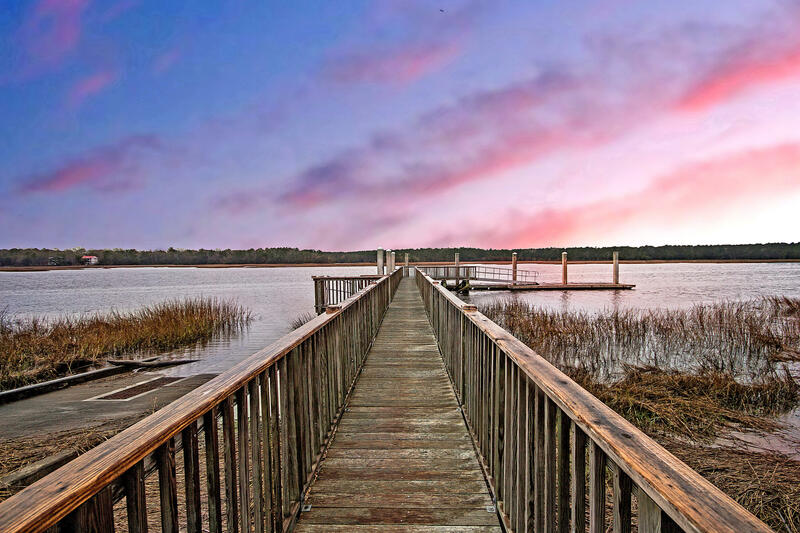 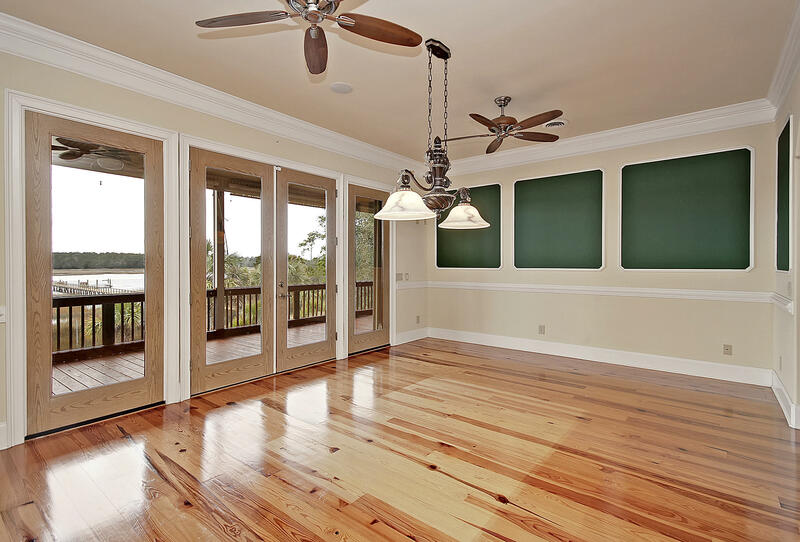 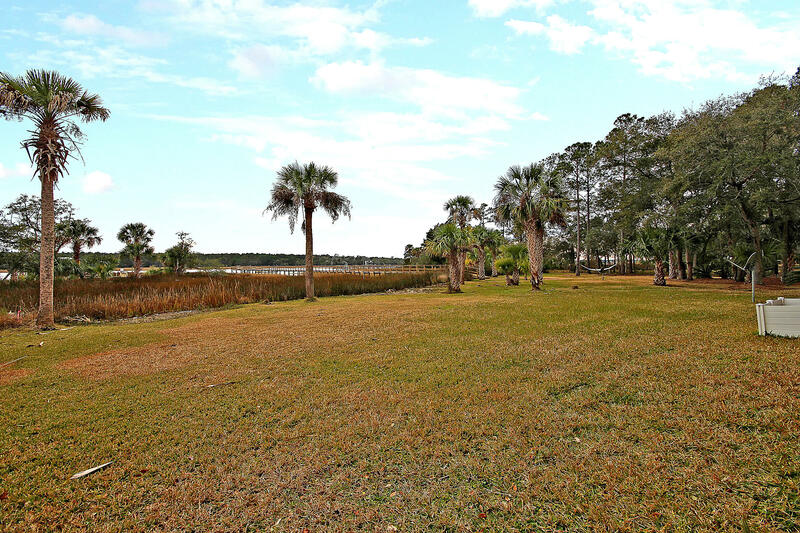 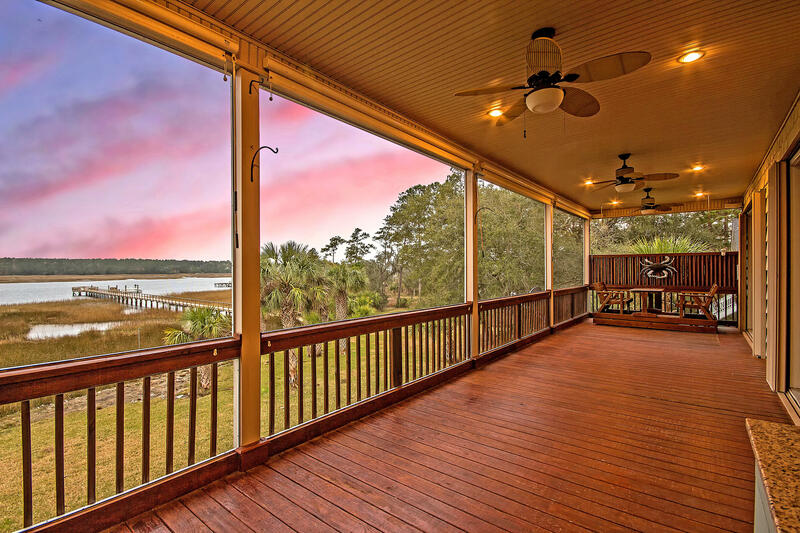 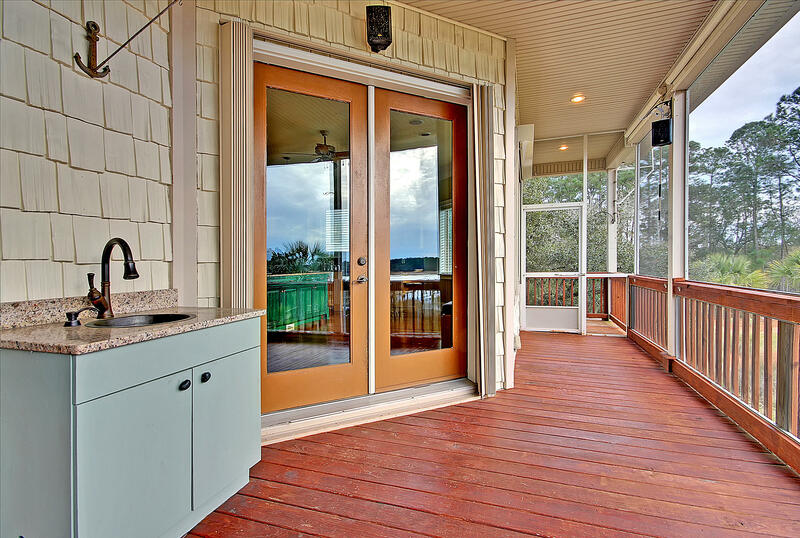 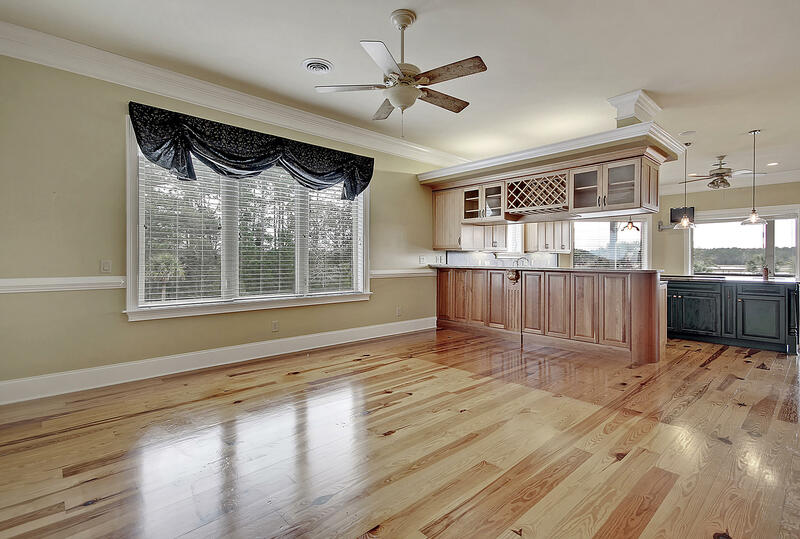 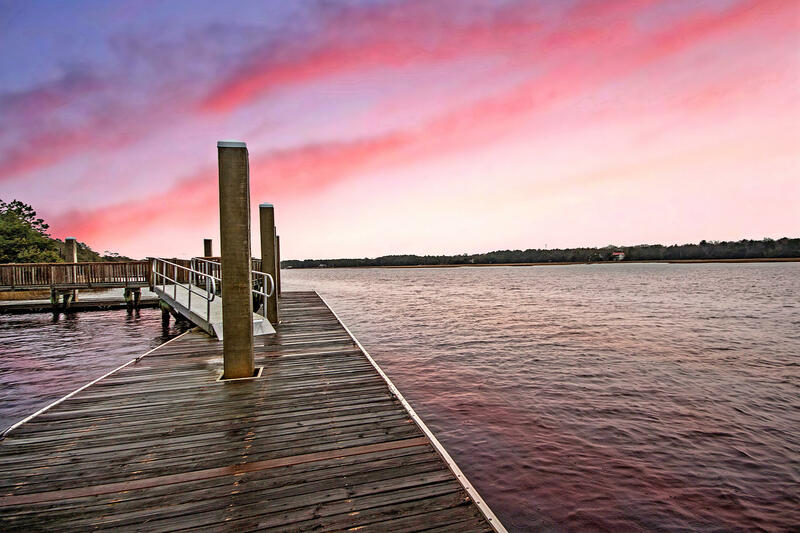 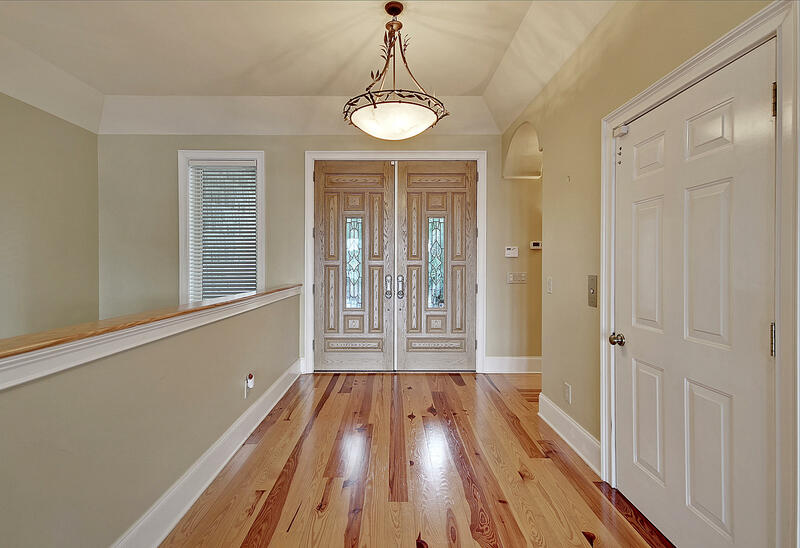 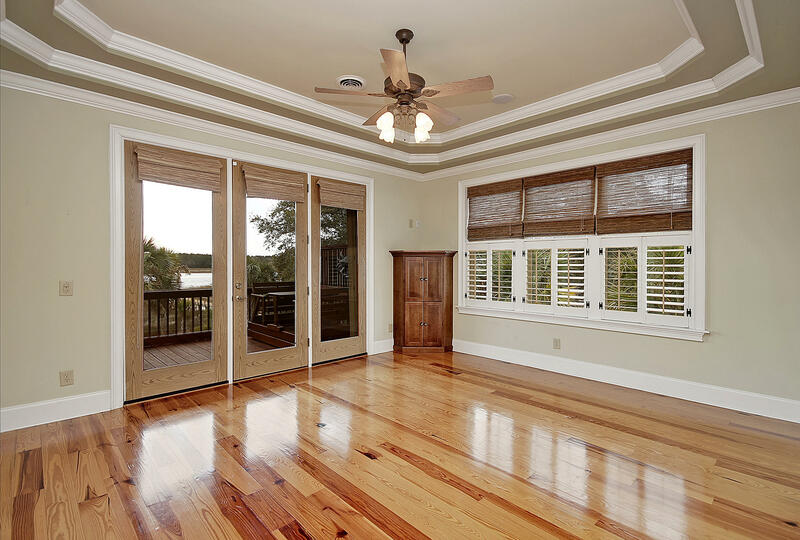 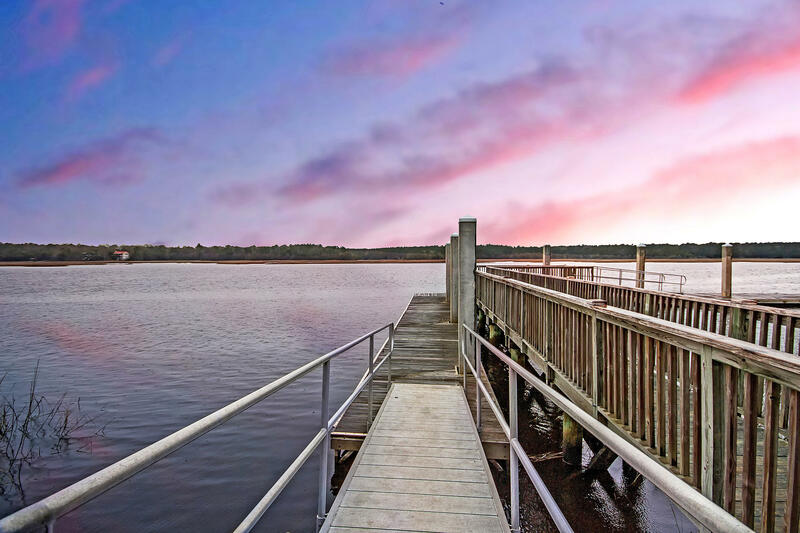 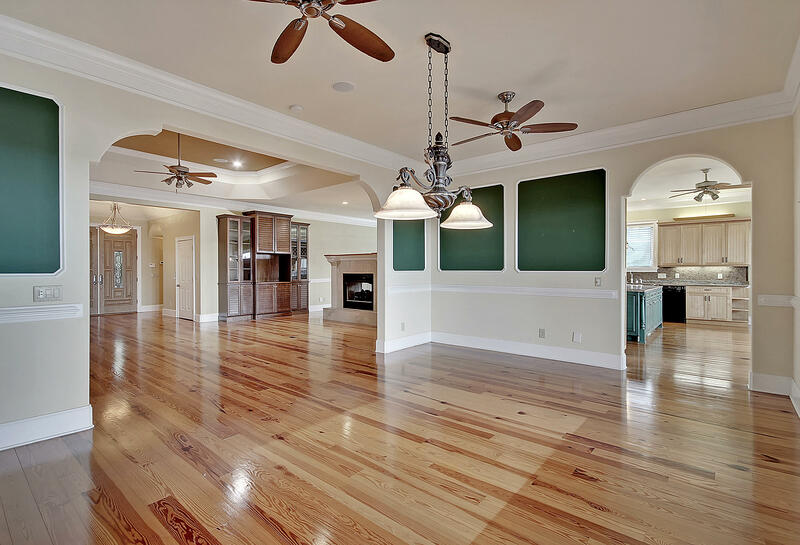 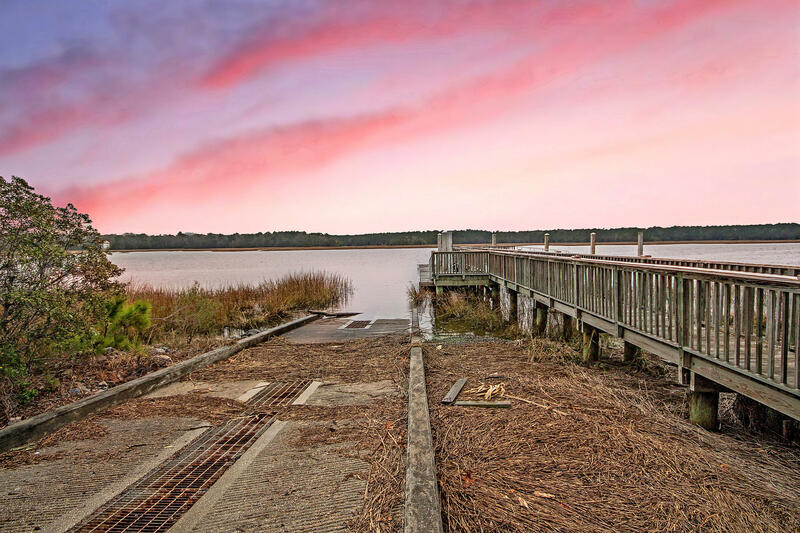 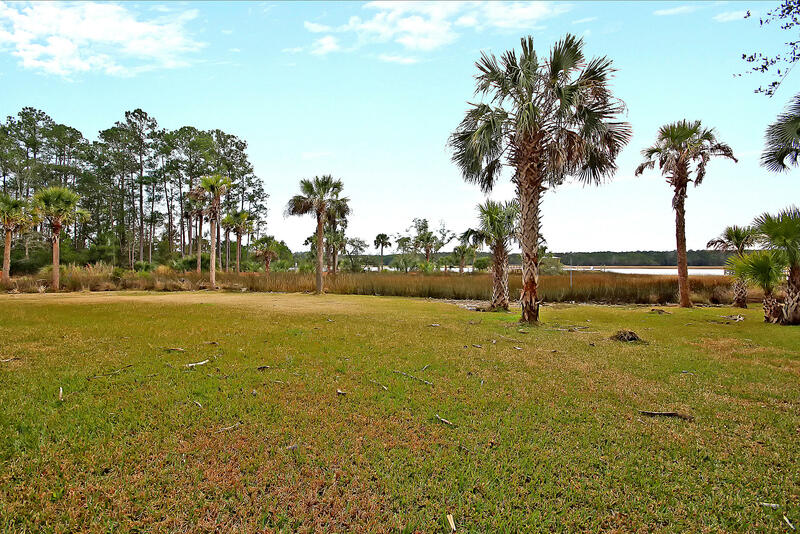 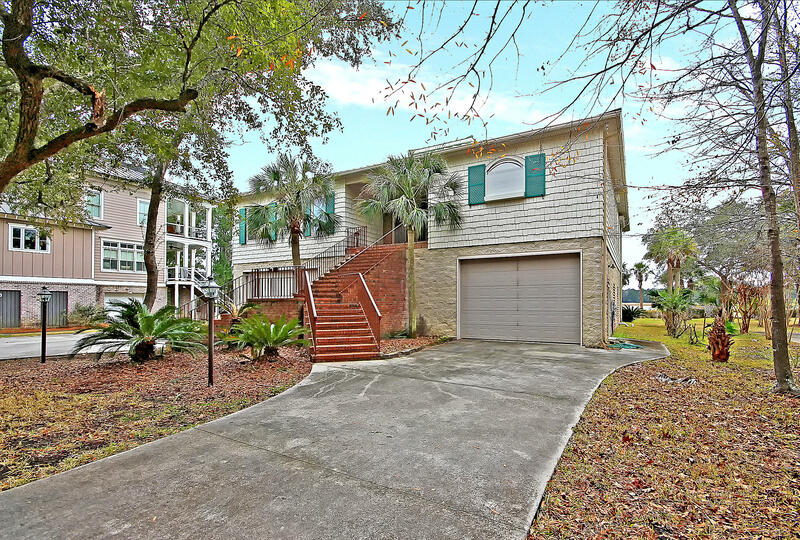 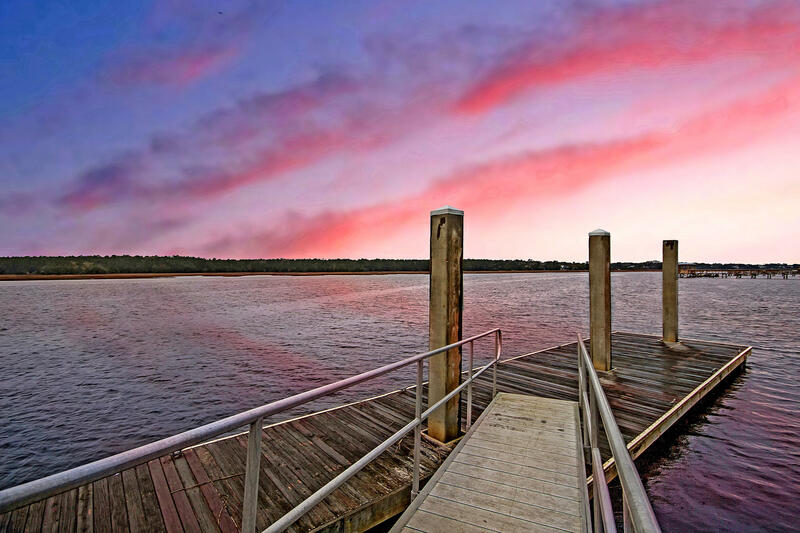 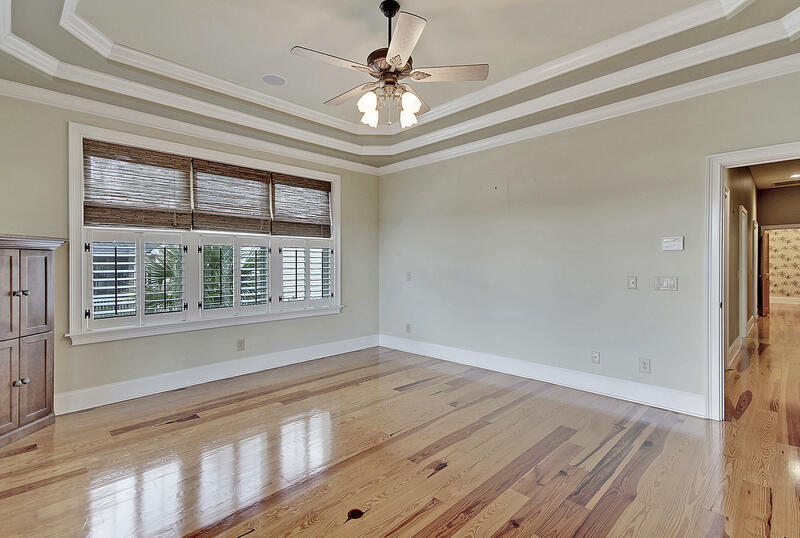 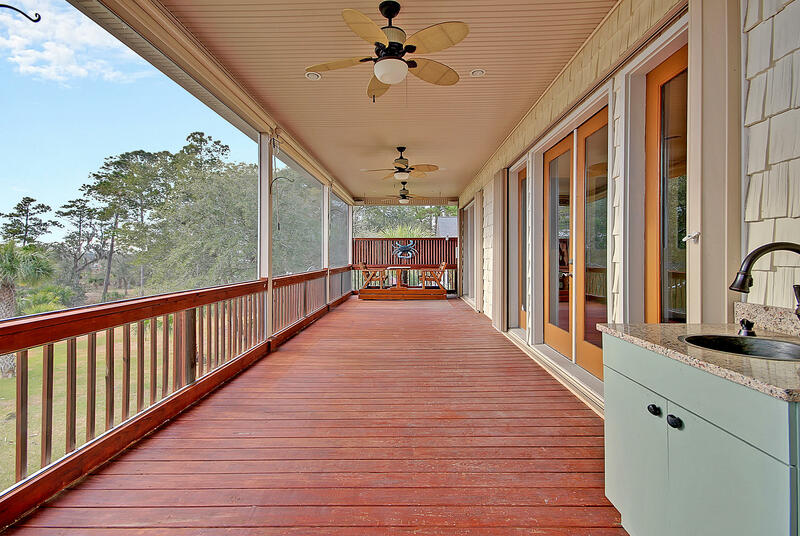 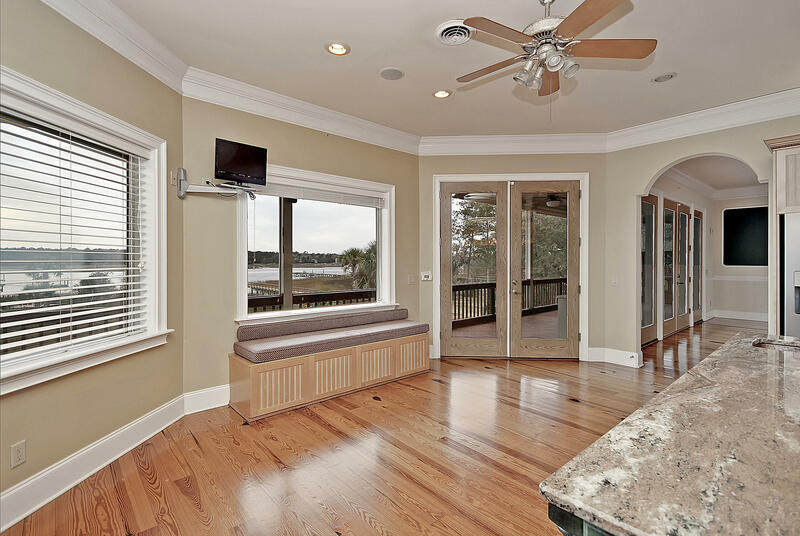 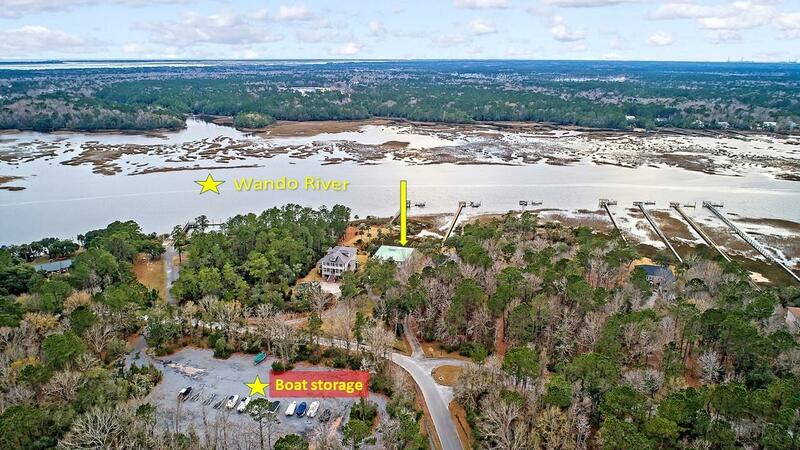 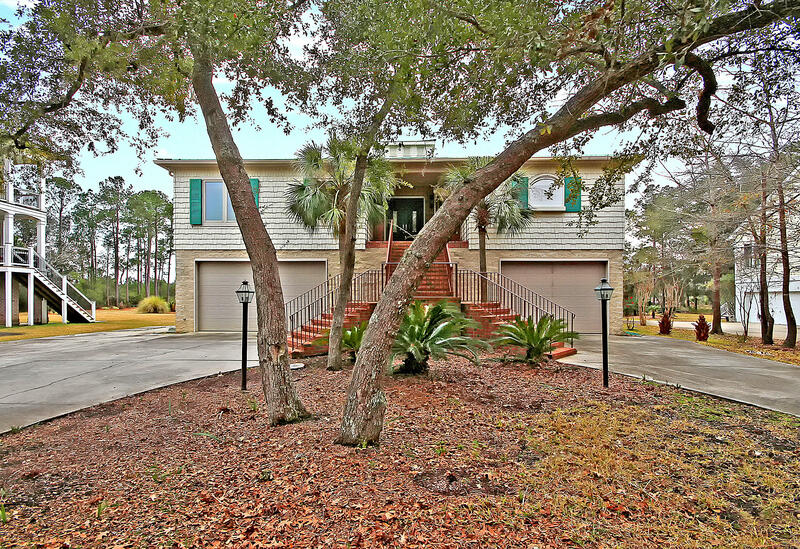 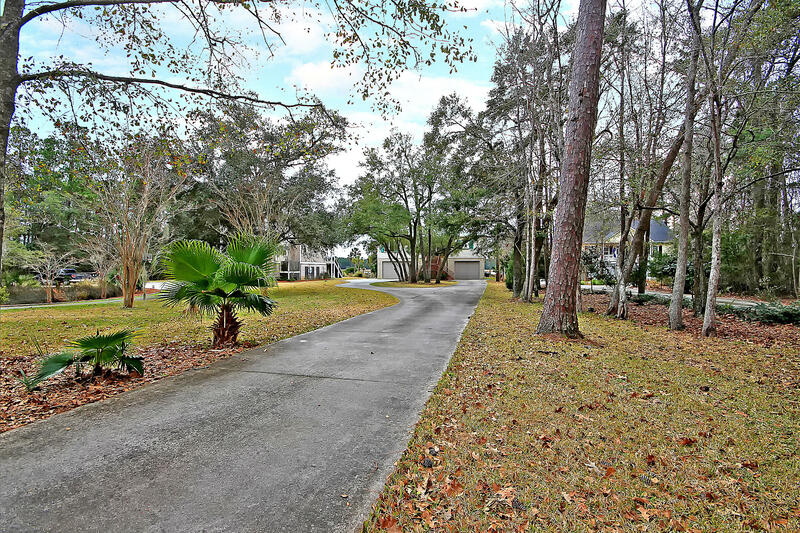 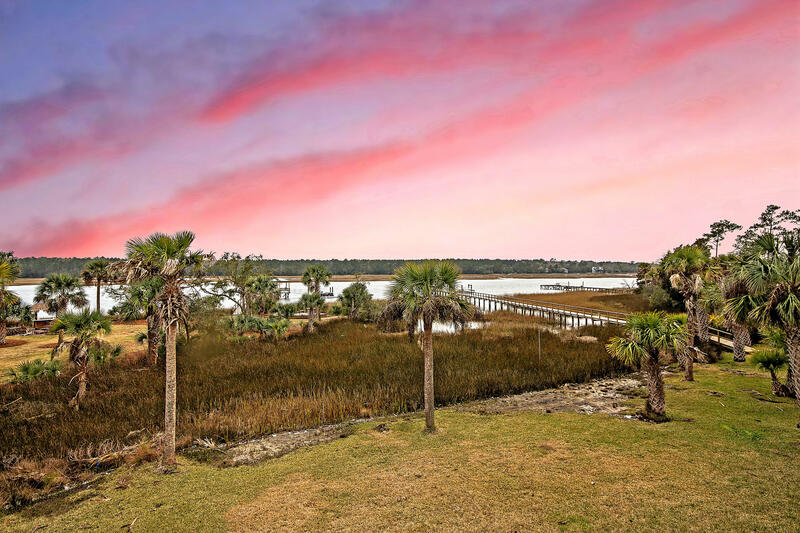 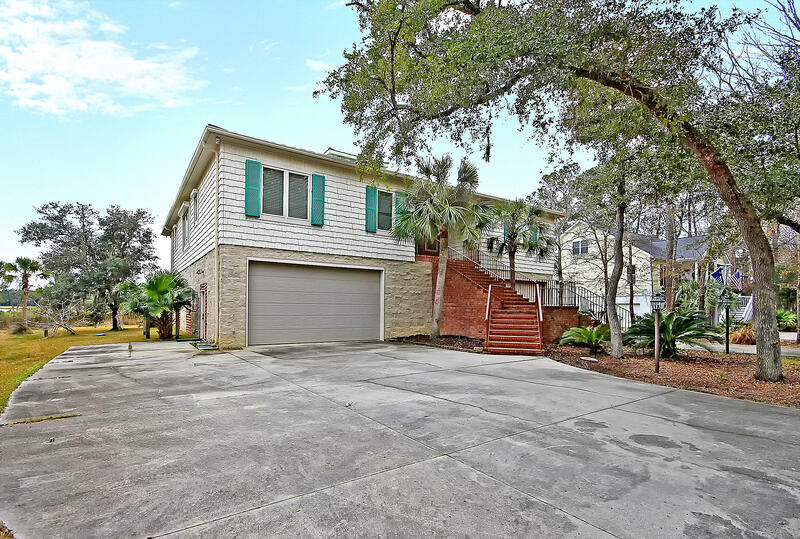 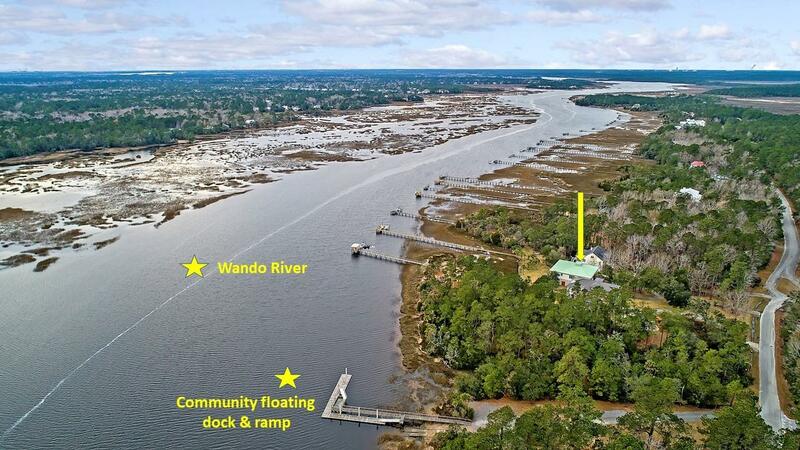 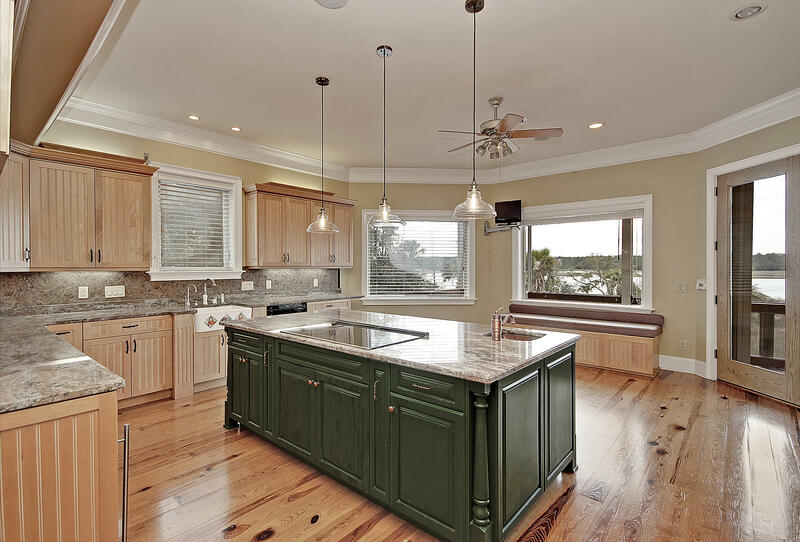 Welcome to paradise on the Wando River in North Mount Pleasant! 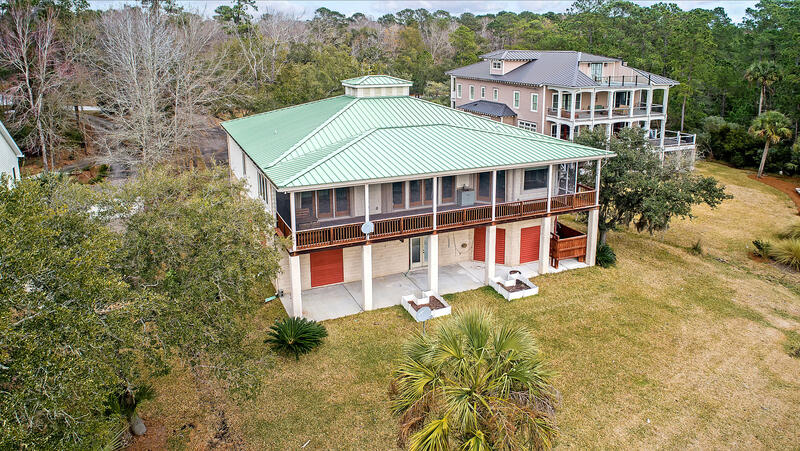 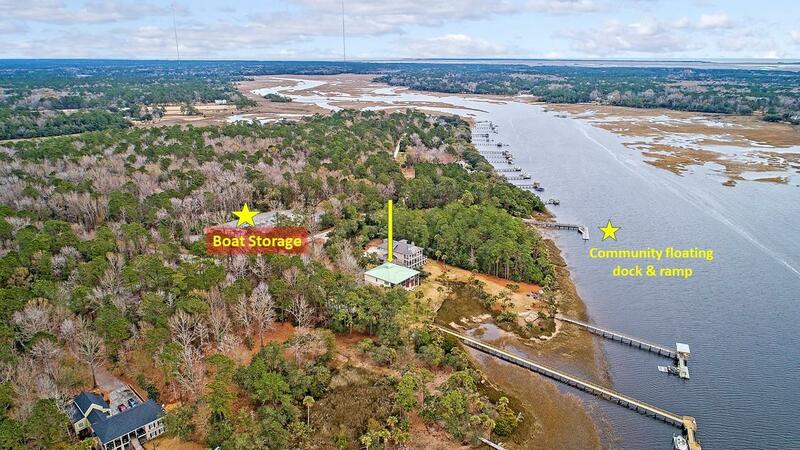 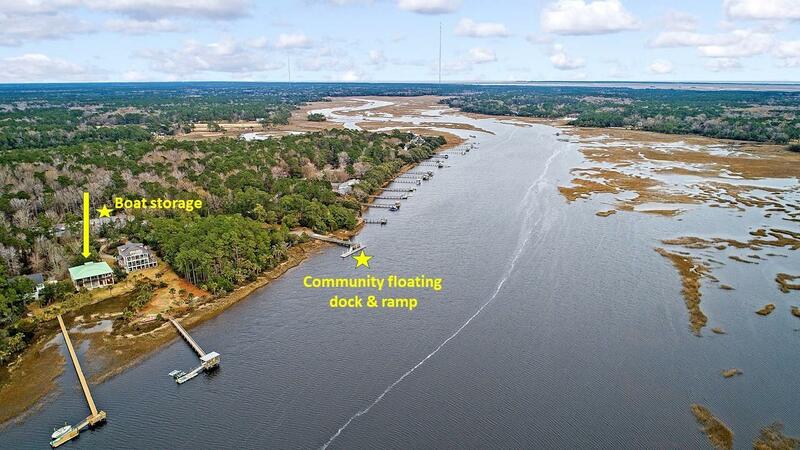 Located one door from the community dock and boat ramp and boat storage, owner enjoys easy river access without the maintenance and cost of a dock. 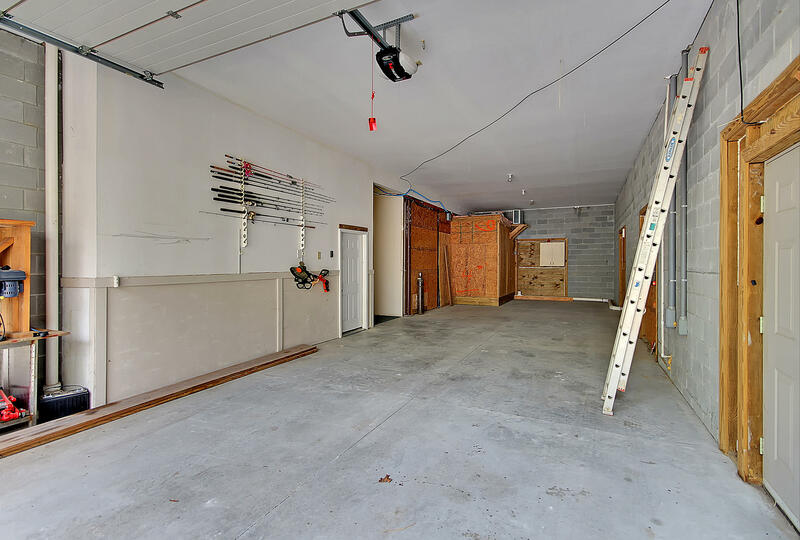 MASSIVE GARAGE SPACE (with hurricane rated, insulated, 10 FOOT DOORS and custom LIFT MOTORS) PROVIDES INDOOR BOAT STORAGE AND 6 CARS. 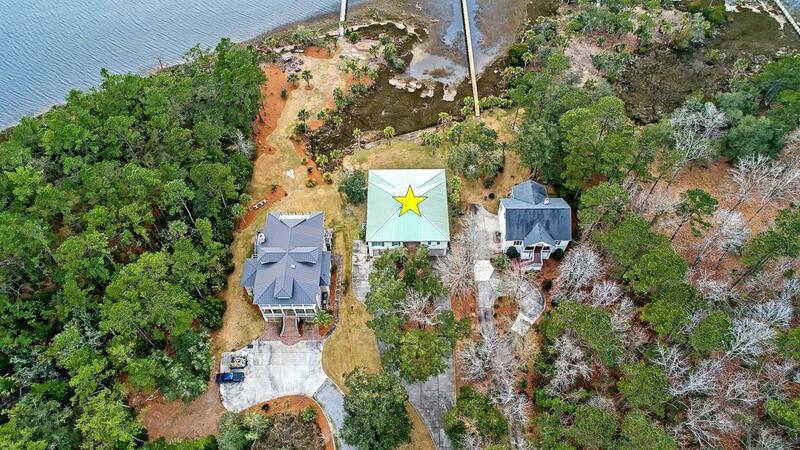 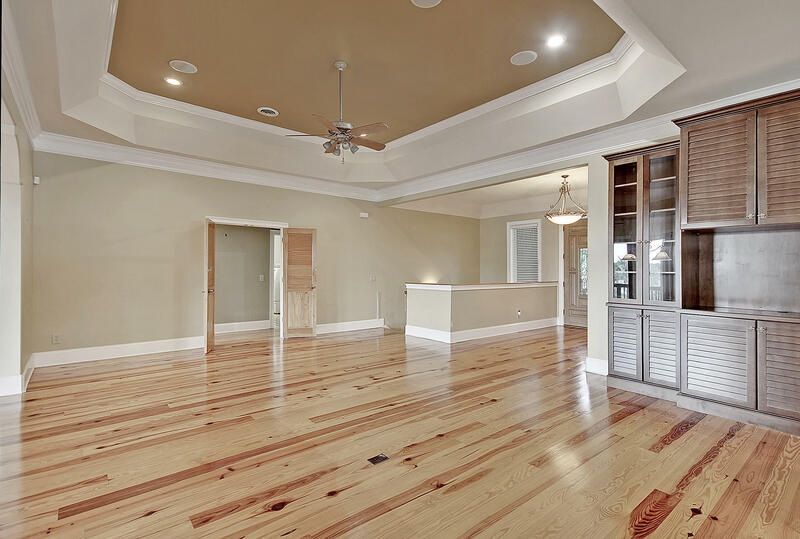 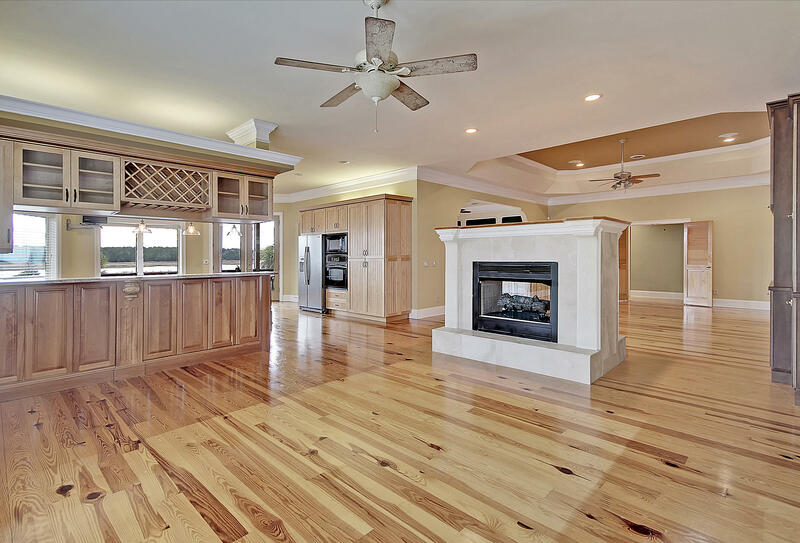 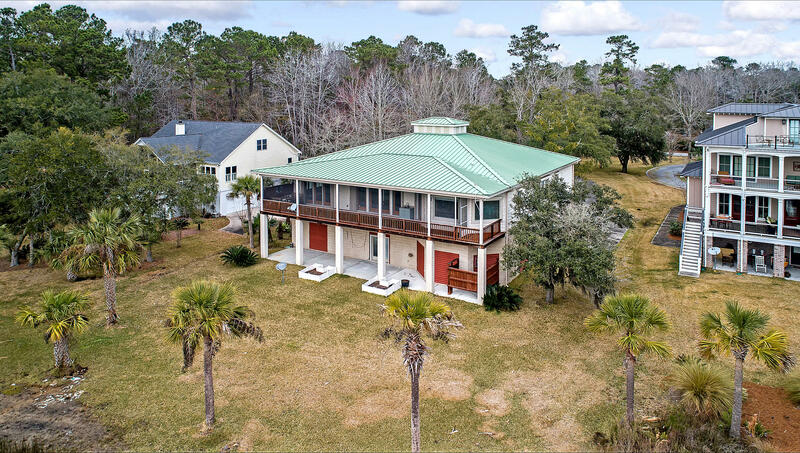 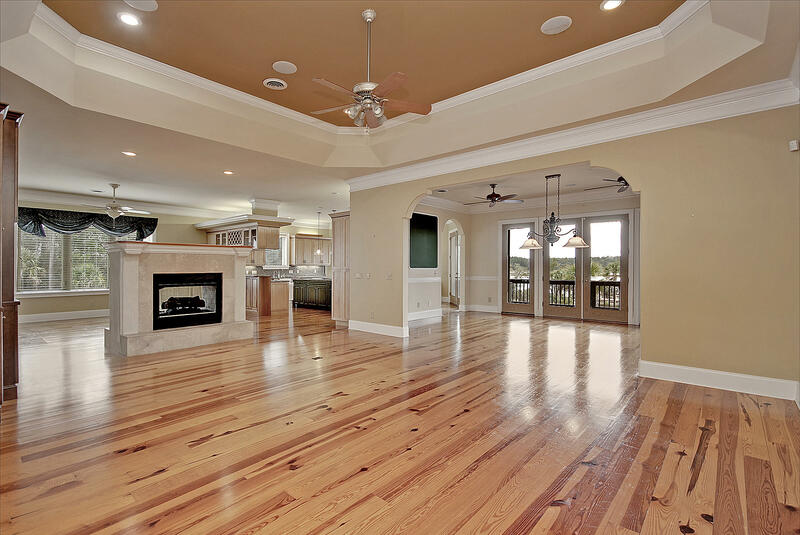 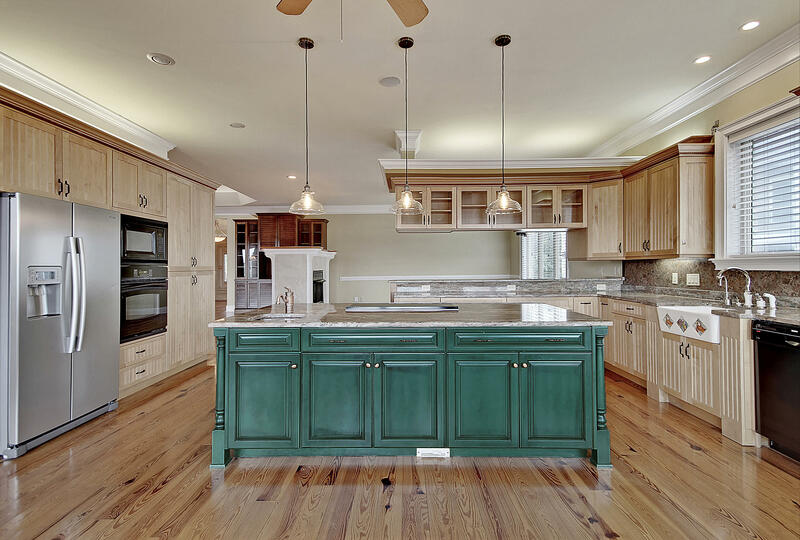 High ceilings allow panoramic river and marsh views throughout this custom home complete with gourmet kitchen, elevator, open floor plan with unique, double-sided fireplace & full, screened-in porch with copper sink. 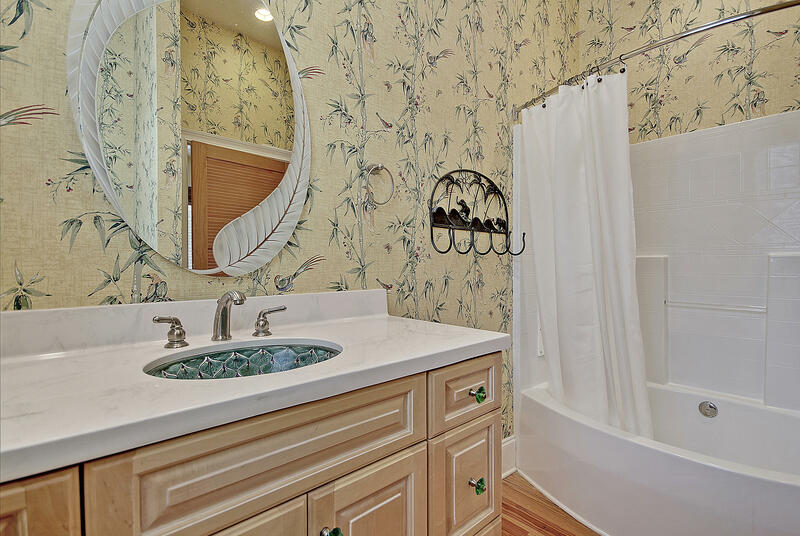 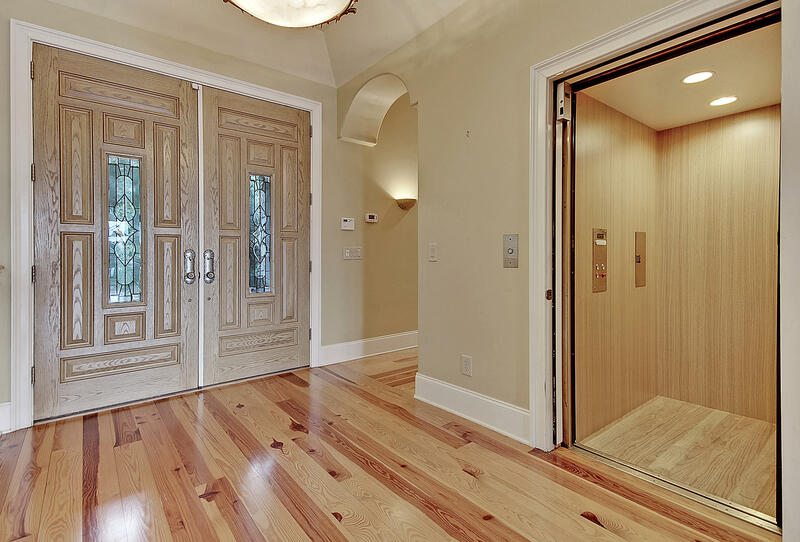 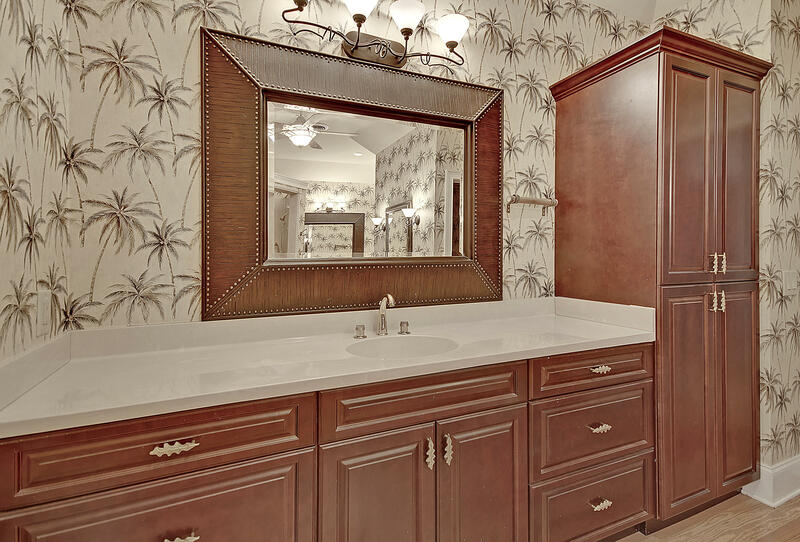 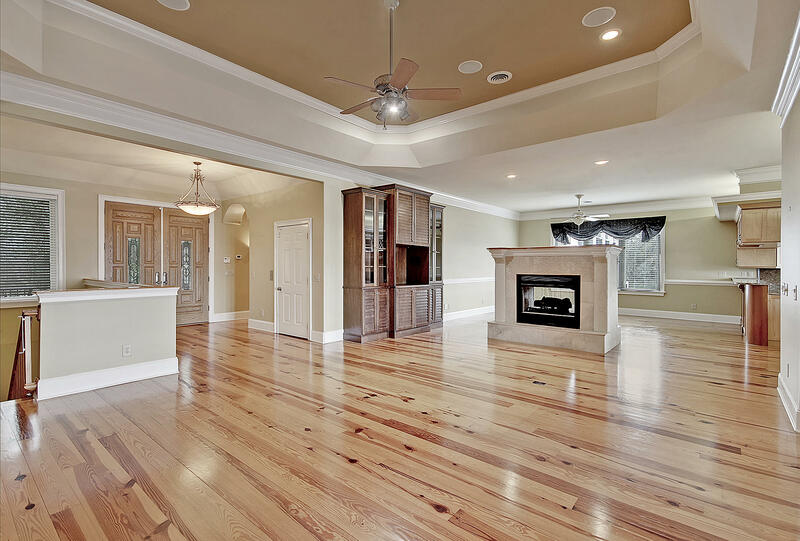 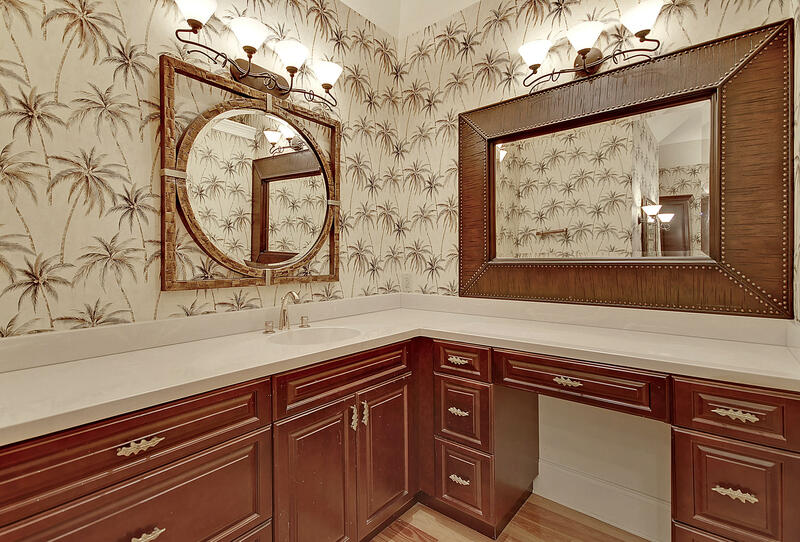 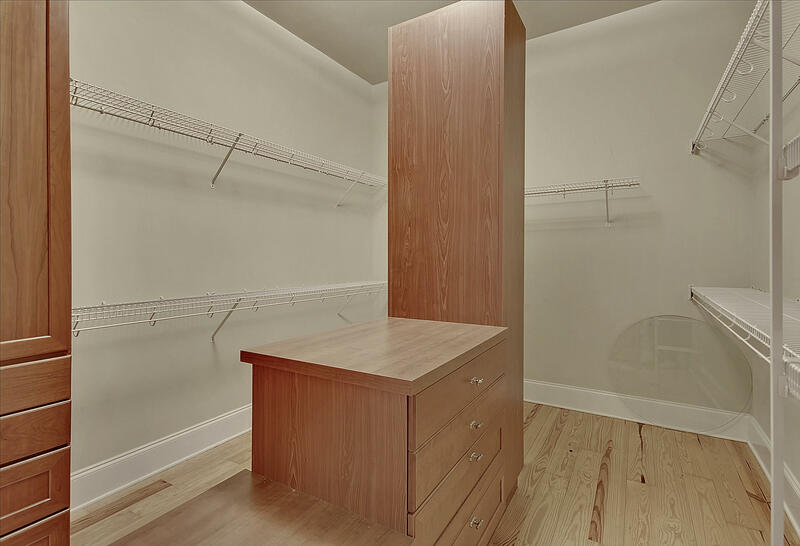 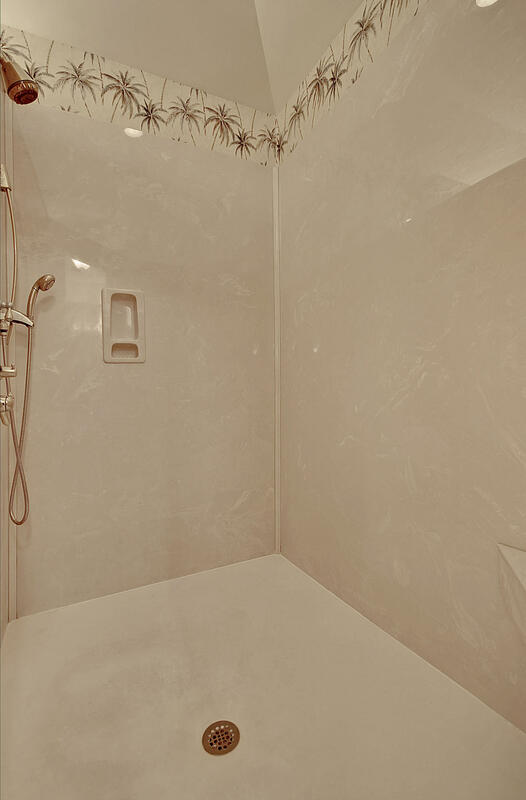 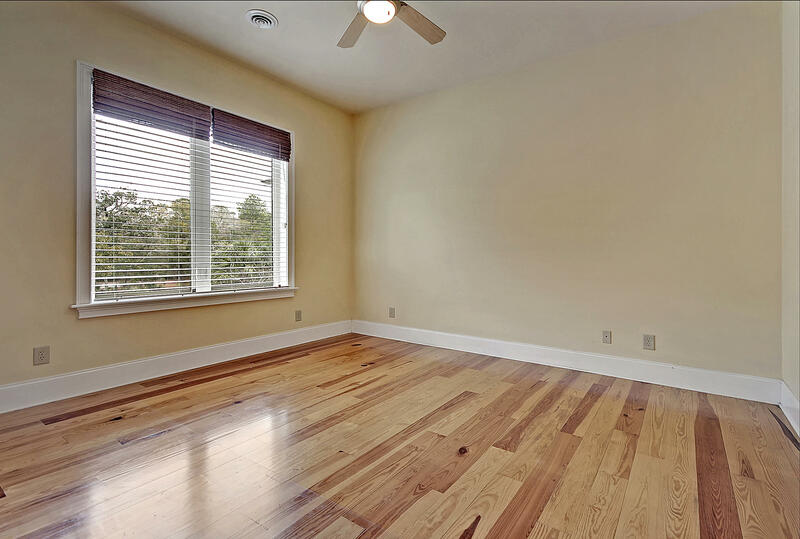 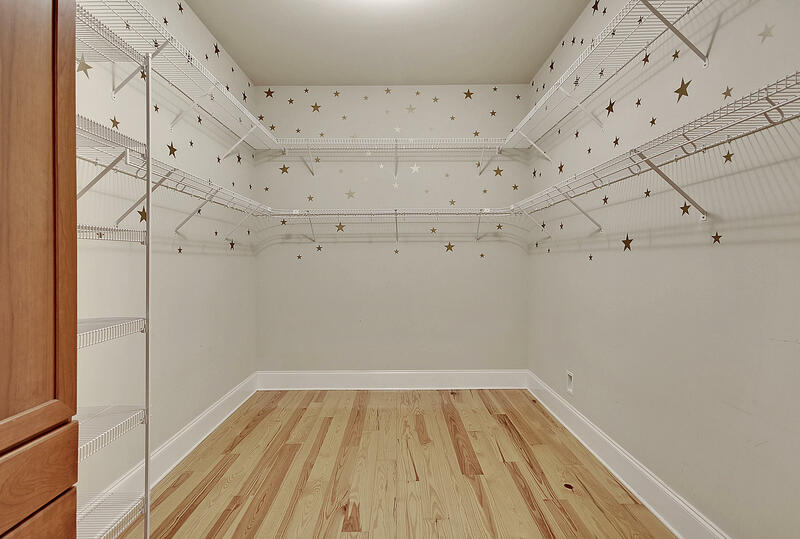 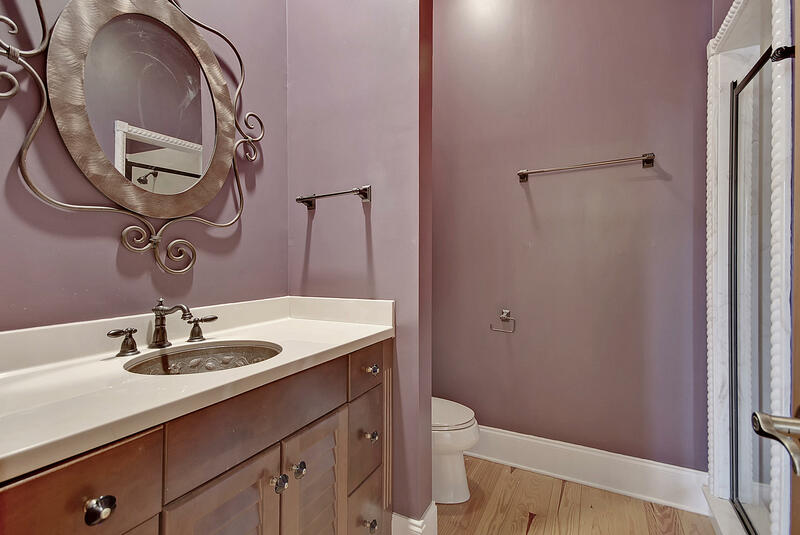 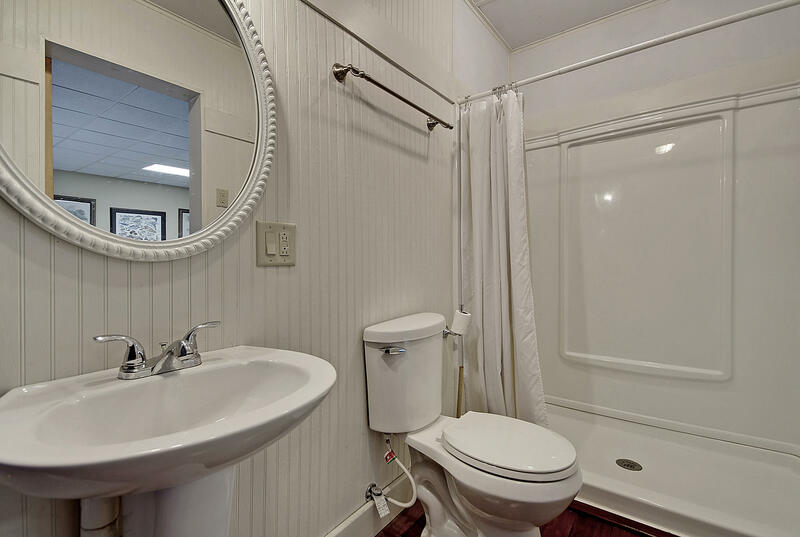 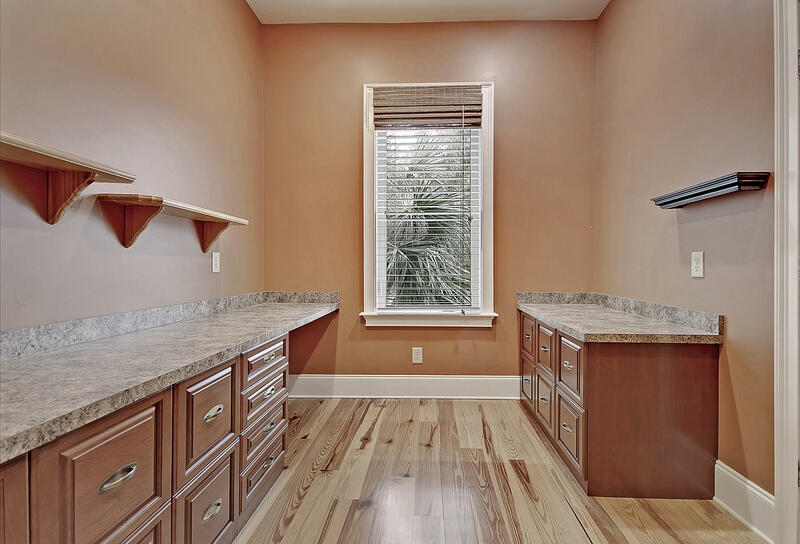 The private, master ''wing'' has ''his & her'' walk in closets with built in cabinetry, dual vanities and walk-in shower. 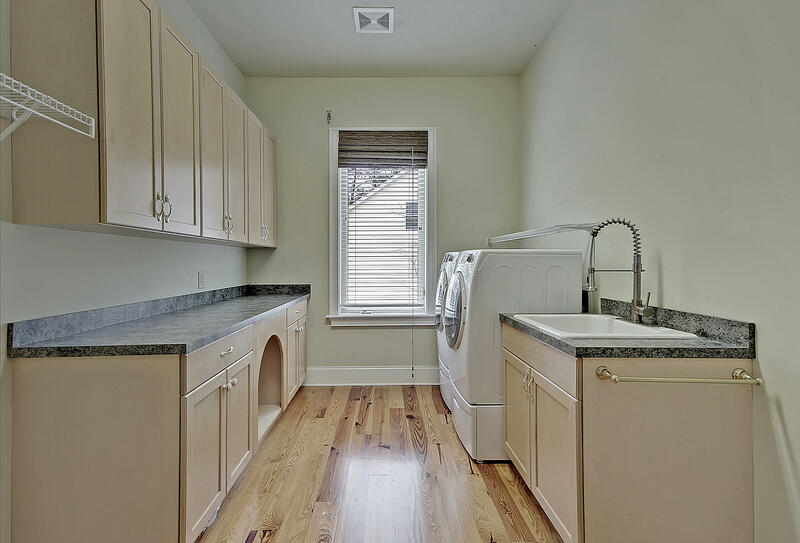 WASHER & DRYER CONVEY Builder used architectural cedar siding and metal roof to enable owner with maintenance free exterior living on the water. 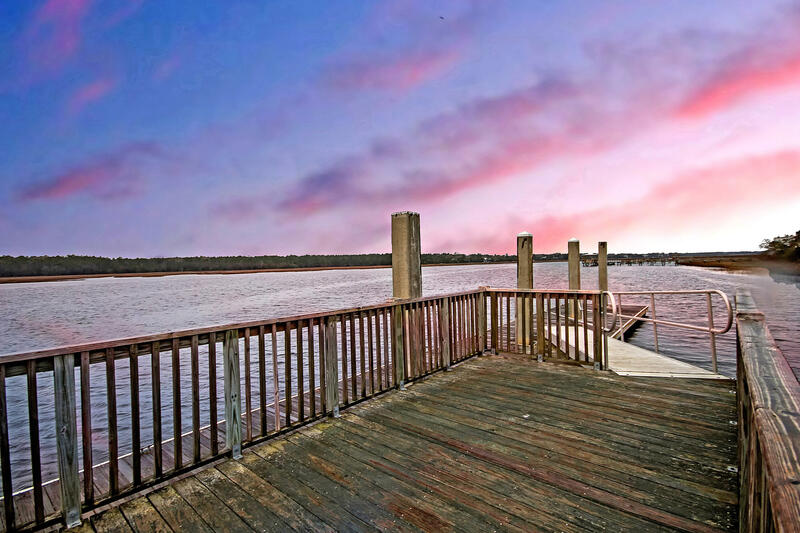 Welcome to your waterfront retreat! 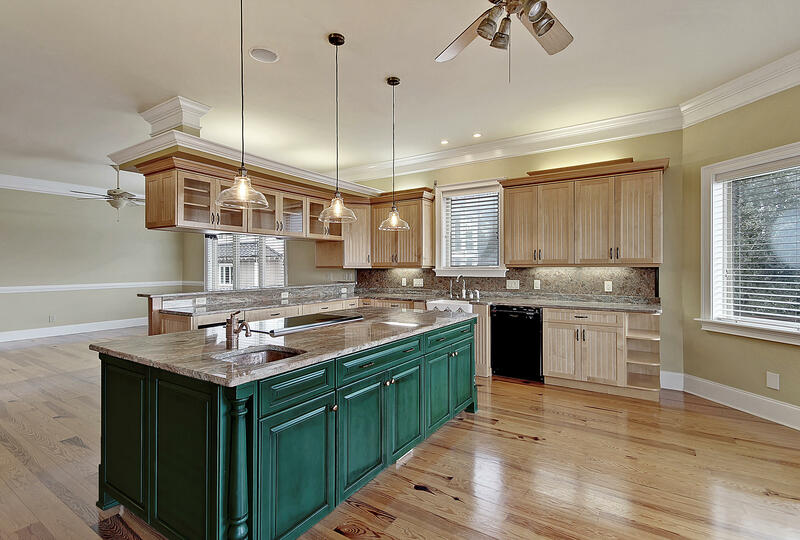 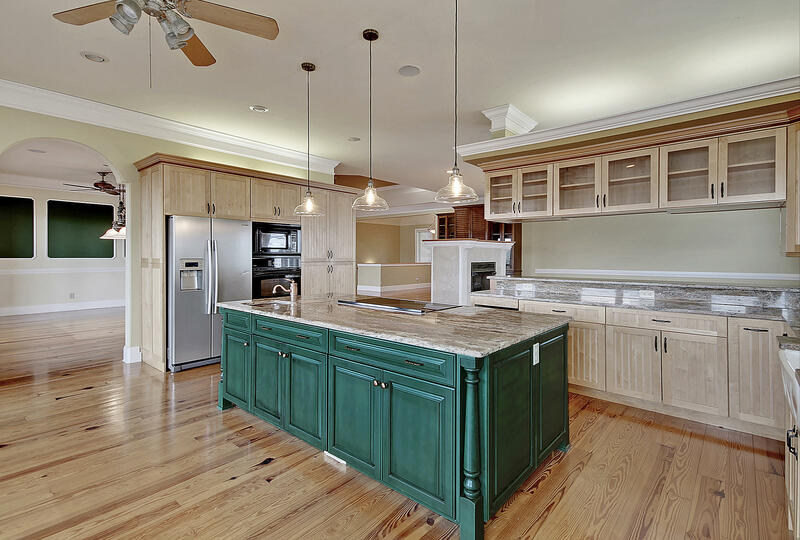 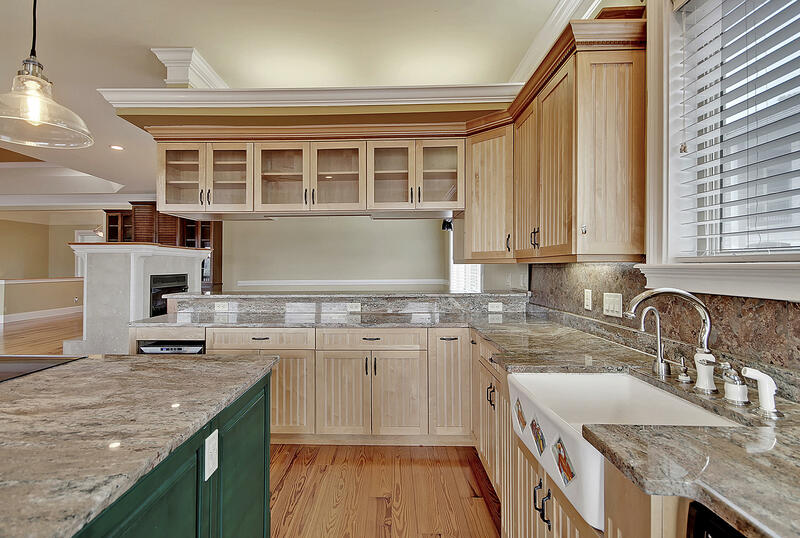 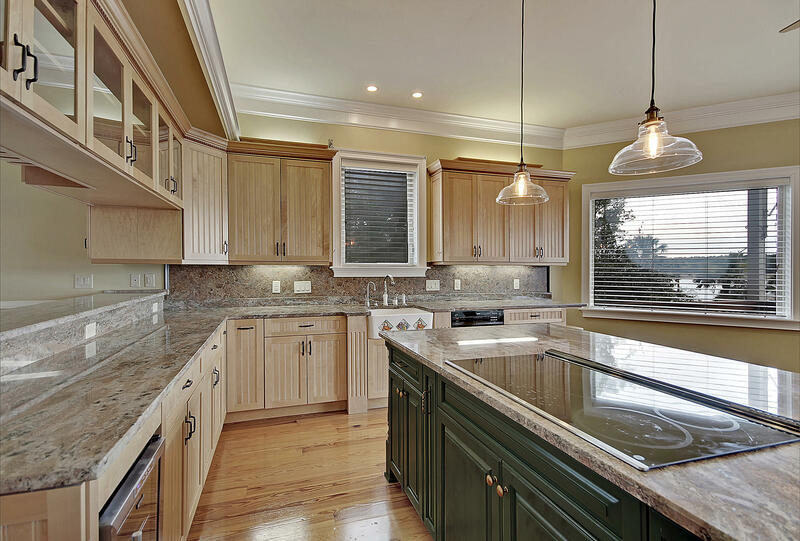 - Kitchen features center island, granite countertops, maple cabinets, farm sink, wine fridge and magnetic induction cooktop with down draft.